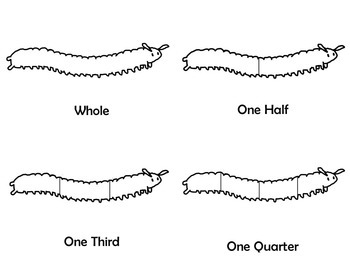 Centipede shaped line fraction shapes. The shapes come in blank outlines that are divided from 1 whole all the way up to 12 twelfths. 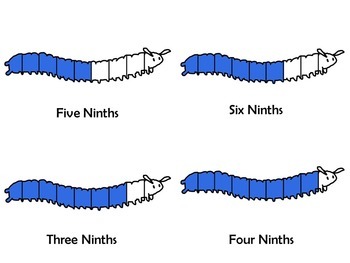 There are also complete shaded sets of centipede line fractions shapes from 1 whole up to 12 twelfths. 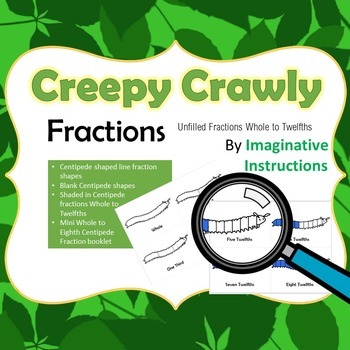 Special bonus is a mini one page Creepy Crawly mini-booklet.